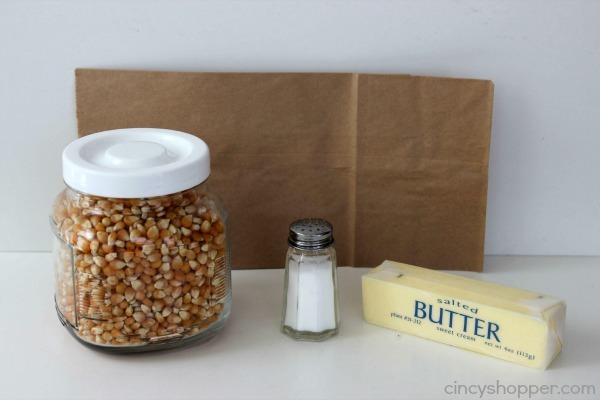 If you and your family consume bunches of Microwave popcorn this DIY Microwave Popcorn Recipe is going to save you some cash! Popcorn is an almost nightly item in our home. Everyone likes to pop a bag and enjoy usually int he later evening. The problem is everyone wants their own bag. In our house 6 different bags of popcorn is a budget buster. Last week I did manage to score some FREE after Coupon Microwave popcorn and I was totally excited. 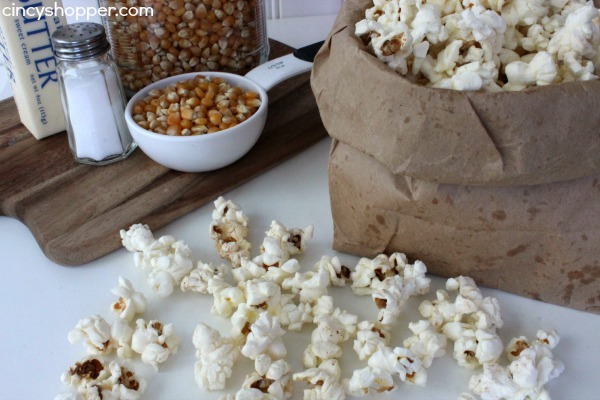 Microwave popcorn for free is rare so I decide it was time to make our own DIY Microwave Popcorn at home. I have seen this method mentioned many of times online and was a bit skeptical. 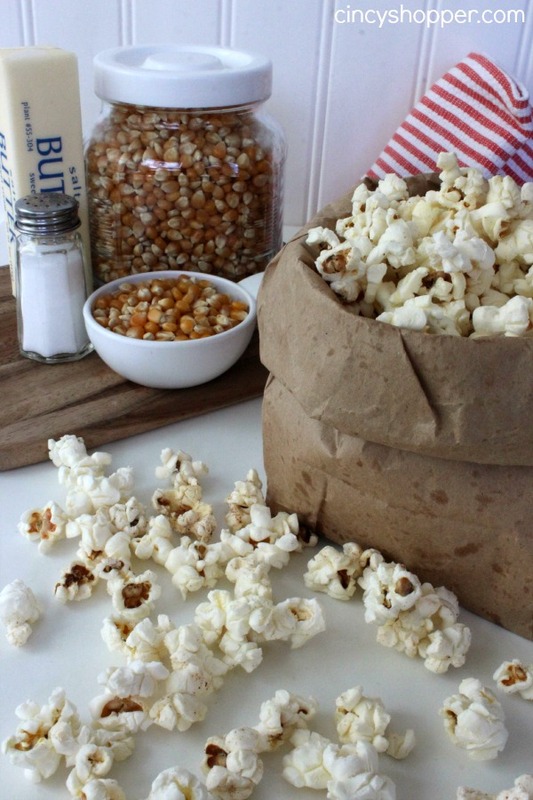 I wish we would have tried making homemade microwave popcorn long before now. I know we could have saved a bundle. 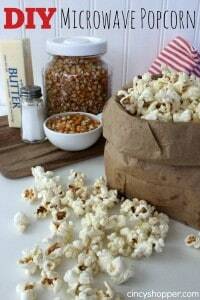 This DIY Microwave Popcorn Recipe is so simple and is so inexpensive. The ingredients are so simple. Just grab a brown bag, some popping corn, butter and salt. 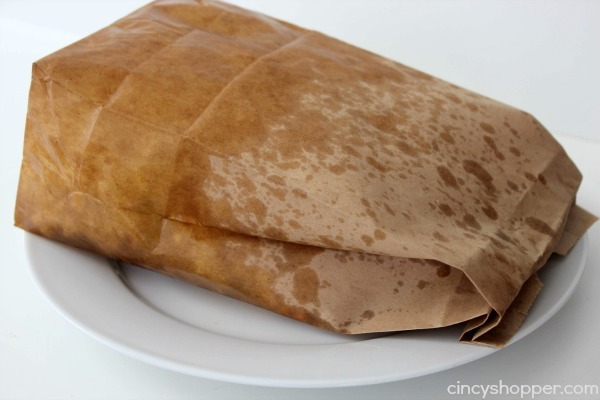 I did double up my lunchbag on our second batch which helped with the grease. I am also going to try coconut oil next time to as I have heard using it makes great DIY Microwave Popcorn too! I am super excited I decide to give this DIY a test. We can now all enjoy our own bag of popcorn without spending too much. My kids were excited because they no longer have to wait for me to stock up on microwave popcorn. Yes…. they ask if there are any popcorn coupons out every single week, ha ha.